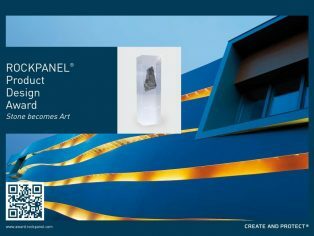 With its European-wide ROCKPANEL Product Design Award ‘Stone becomes Art’, ROCKPANEL is exploring innovative new ground. A unique ‘stone look’ façade board design is being sought. The aim is not to imitate real stone surfaces that already exist, but to come up with a creative reinterpretation and enhancement. 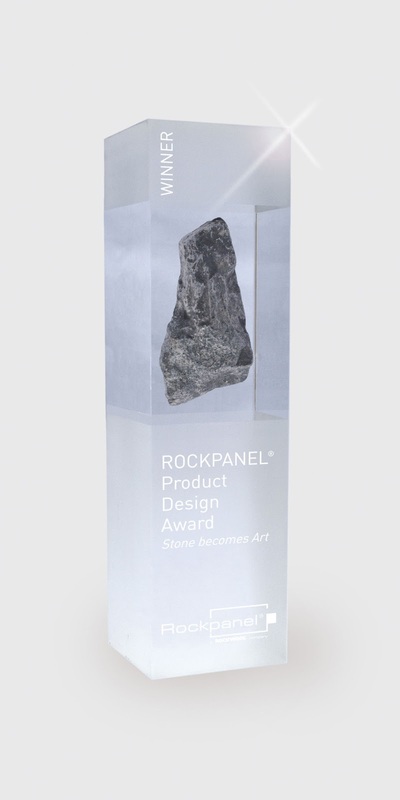 “Turn your vision into design” – the slogan of ROCKPANEL is in the coming months also the motto of a novel design competition. From June to the end of August 2013 architects, planners, product designers and specialists of related disciplines as well as students and working groups (architectural offices, design agencies, other associations) are called upon to participate in the creation of a unique ‘stone look’ façade board design. With regard to aesthetics, texture, grain or colour variation, ROCKPANEL is looking for a convincing, innovative creation that sets new standards in terms of its ingenuity and how it can be used. Besides prize money, the winner’s design will be developed until it is ready for production and then added in 2014 as part of a new stone design range to the ROCKPANEL product range. Through the launch of the new stone range ROCKPANEL will further extend its already comprehensive assortment of sustainable façade boards. The new products and contemporary designs are intended to fit perfectly in with the design themes that currently determine the architectural landscape. The robust and at the same time flexible façade boards made of volcanic basalt rock combine the advantages of both stone and wood. “For many years ROCKPANEL façade boards have been used to create state of the art buildings with almost limitless design freedom and at the time contributing to a sustainable environment. With the new stone design we are planning to write another chapter to follow the success story of our natural looking Wood designs which are an effective and durable alternative to real wood” says Frank Weigelt, head of Marketing & Business Development for ROCKPANEL. Designs may be submitted up to 31 August 2013. 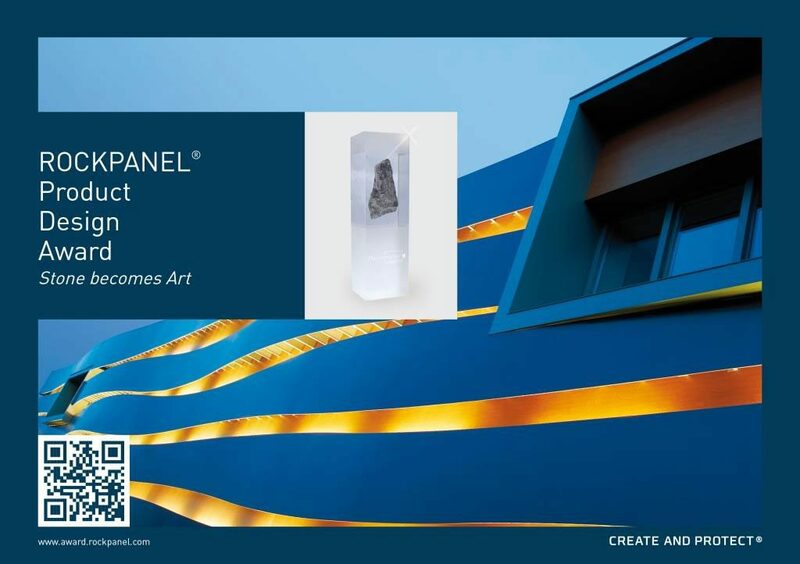 Together with the ROCKPANEL specialists and in co-ordination with the designer, the winning design will be developed until it is ready for production, and then subsequently added to the ROCKPANEL product range with direct reference to the winner’s name. The winner will also receive € 5,000 in prize money. The designs in second and third place will win € 2,000 and € 1,000 respectively. All three finalists will be invited to the opening event of the new ROCKPANEL production facility in the Dutch town Roermond on 10th October 2013 at which point the winner will be announced.